When a challenger defeats this card, they draw a card. When a challenger loses a faceoff involving this card, they discard a random card. 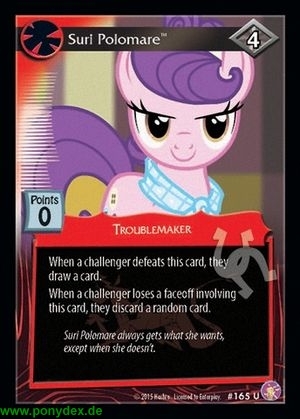 Suri Polomare always gets what she wants, except when she doesn't."